Thank you to all that participated in our Textile Fundraising Program! Well done and congratulations to everyone that participated in our Textile Fundraising Program! Everyone benefited! 7000 lbs. 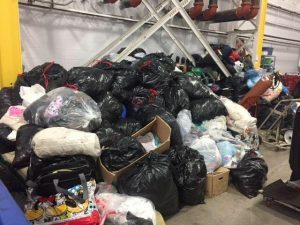 of textiles and other goods were diverted away from landfill sites and we at Procyon received much needed funds to carry on our work to rehabilitate wildlife in need! This is so impressive! Thank you to all! 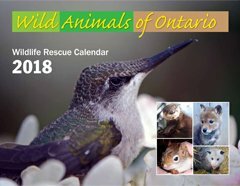 The 2018 Wild Animals of Ontario Calendar is now available! Pictures of wildlife animals from 24 wildlife centres from across Ontario. 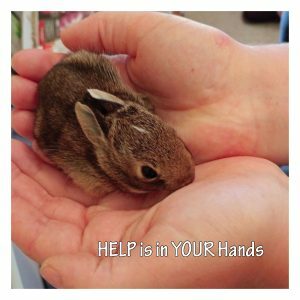 All of these animals have been cared for and released back into the wilds. The calendar is 8.5” x 11” (11” x 17” flat) and costs $18.00. Pictures include baby raccoons, squirrels, rabbits, foxes, skunks, bears, otters, groundhog, bats, hawks opossum and turtles. All profits from the wildlife calendar goes to support injured and orphaned wildlife in Ontario.